What’s the best way to drive across Canada in comfort and style? 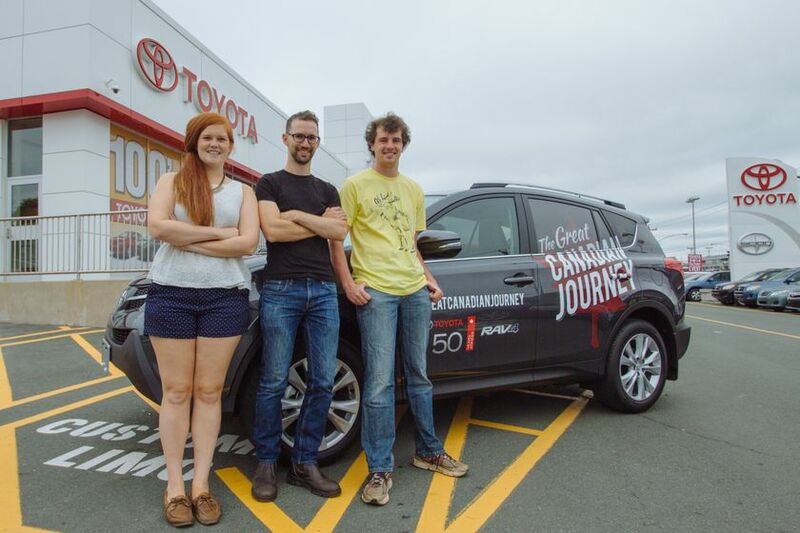 The Great Canadian Journey Team is about to find out, as they embark on a two-month journey across the country in a 2014 Toyota RAV4, the vehicle that delivers fun, comfort, style, versatility and performance. “We’re excited to experience all that Canada has to offer, and to be doing it in style with the made in Canada Toyota RAV4,” says Brendan Henry, creator of the Great Canadian Journey project. “I’m excited to try out the RAV4. It’s got lots of space for our friends and gear along with great features. 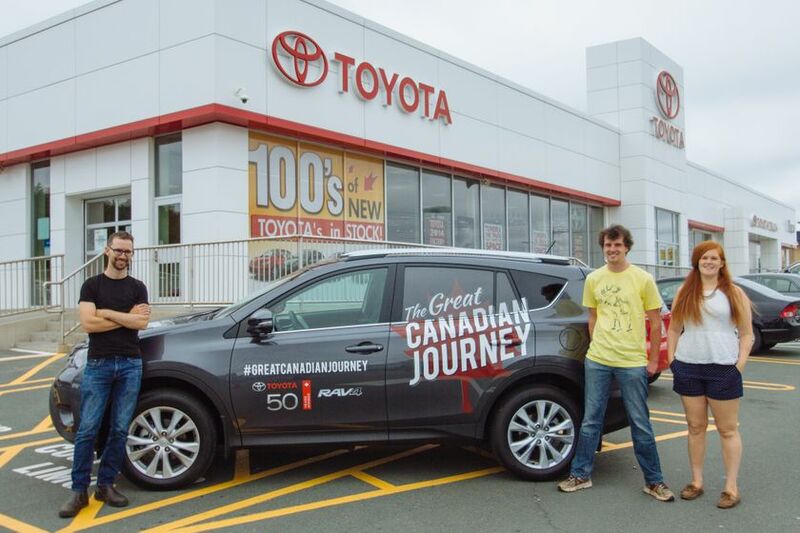 Toyota Canada Inc. is providing the Great Canadian Journey with a 2014 Toyota RAV4, for a not-for-profit project dedicated to celebrating local destinations, artists, cuisine, and more. The adventure will begin on August 6th in St. John’s, Newfoundland and end in Tofino, British Columbia at the end of September. The Great Canadian Journey team will camp, and indulge in local treats and adventures across the country. Canadians are invited to follow the Great Canadian Journey and participate by offering suggestions on what to do and where to go via Facebook, Twitter, and Instagram using the hashtag #GreatCanadianJourney. For more information about The Great Canadian Journey and to make your trip suggestions, visit http://www.greatcanadianjourney.ca/ or follow the crew on Twitter (@JourneyCanada), Instagram (@CanadianJourney) or Facebook. You can also follow their great RAV4 adventure on the Toyota Canada page at Facebook.com/ToyotaCanada.